I have something to confess to you: I just love powders. I'm used to using them on a daily basis, I love those who subtly contributing to the shining of my complexion, I love that they can embellish the color or texture of the skin, helping to equalize complexion or to camouflage some dull marks or pimple. I love the fact that with a bit of appropriate foundation my skin looks healthier, whole face shine and looks younger. Because I love powders so much, I have tried them many. And not only that I tried them, but I use them a few at a time: each has its own purpose, occasion, time of day or time of year, which one when I will use depends on the condition of the skin, whether my complexion is normal or t - zone is oilier than usual, whether it's hot or cold outside, whether it is day or night, summer or winter. And always, always am looking for the best powder. 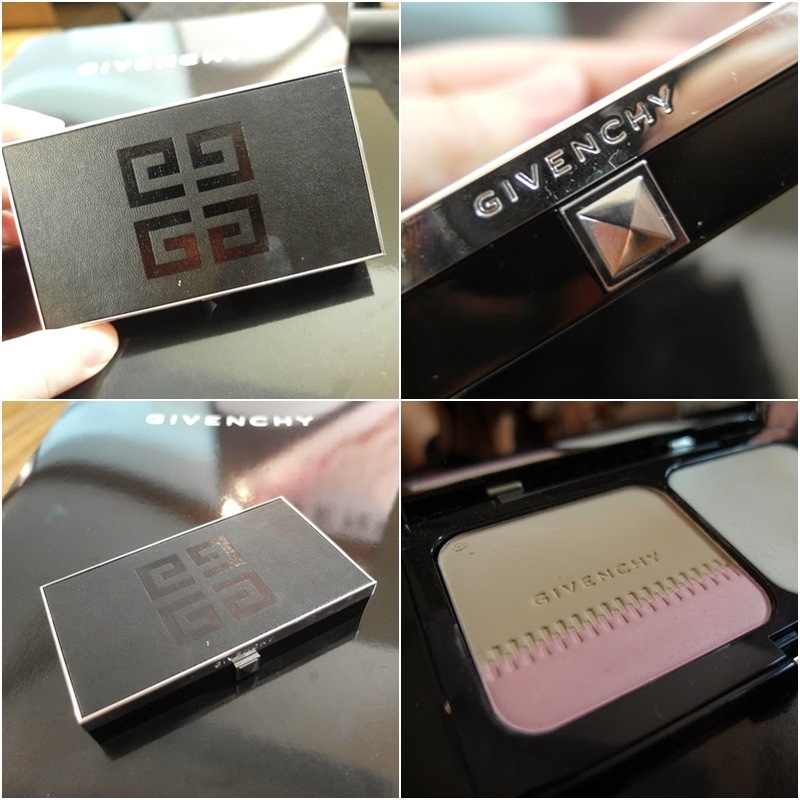 This time I decided to give a chance to the new Givenchy line of powders, Teint couture, and not just that I have not regretted it, but I seriously think to present them as one of my favorite so far. These are liquid and pressed powder, and you can read my impressions below after a few weeks of use. 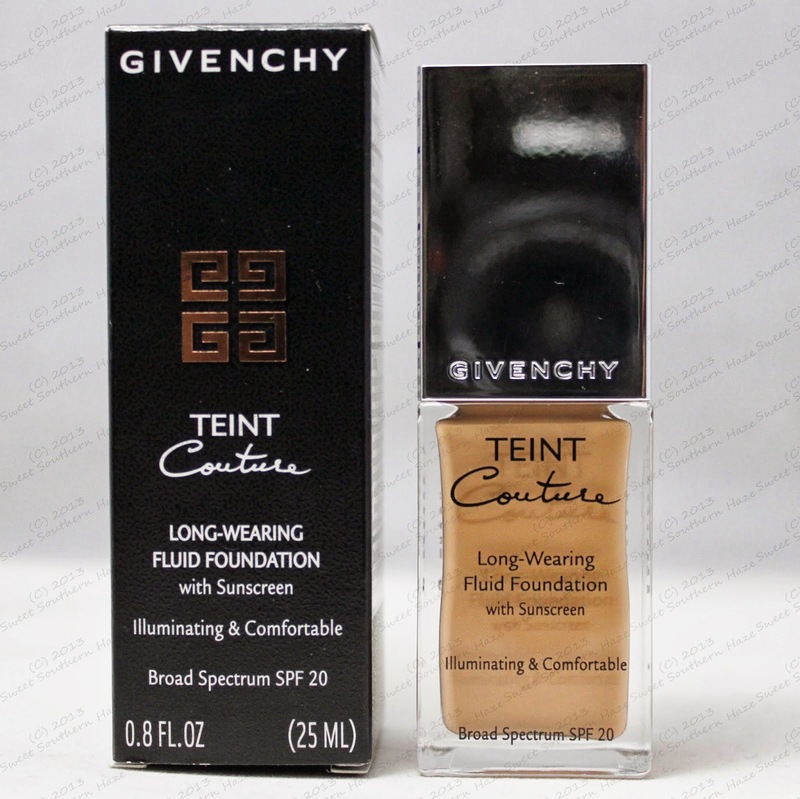 Behind this lengthy name lies a liquid foundation containing SPF 20, that should be time-consuming, so at least we have promise from Givenchy, with the promise of shiny skin on which this foundation is unnoticed and perfectly covers her. With all this I can only agree and to confirm their claims, and I will explain why. 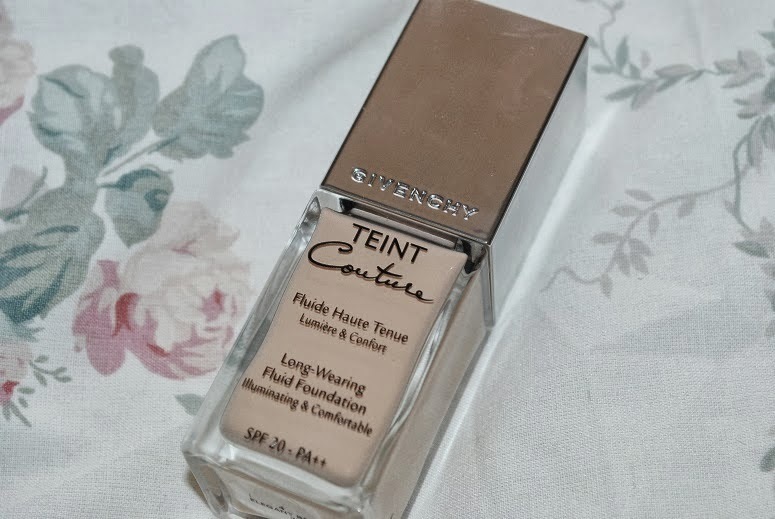 Givenchy Teint Couture comes packaged in a beautiful and elegant glass bottle inside the box, which looks beautiful and is a decoration in itself, except it is not practical because it is heavy and square. 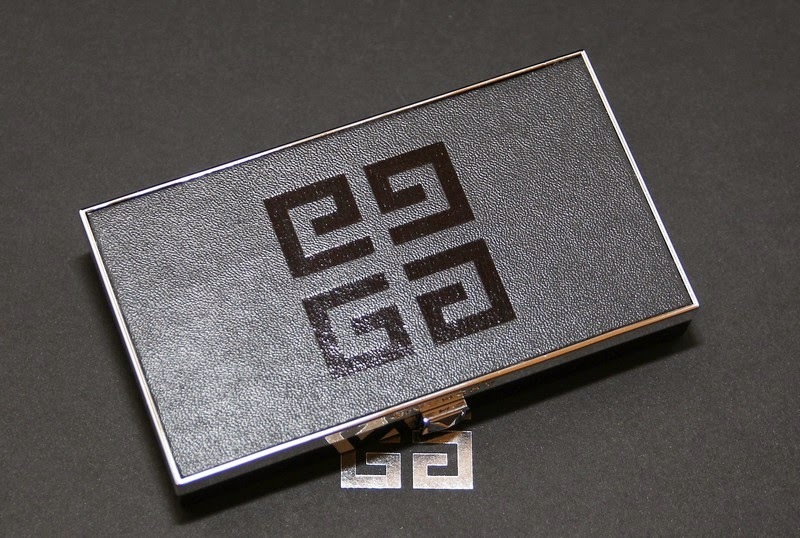 There are 9 shades, and I was most suited with No.5, Elegant Honea. It has middle shade and has a neutral undertone, but it fits perfectly with my yellow complexion, which I did not expect because I used to buy yellow powders. However, this is real refreshment for the face, and I think the color itself somehow gives some glow to the skin. 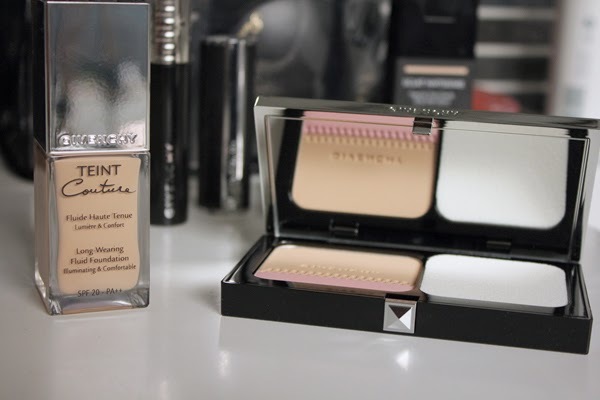 What will delight girls who have lighter skin, is the fact that there are two shades lighter than the one I chose, and that the first of them is very bright, on what we do not come very often when it comes to powders on the market. 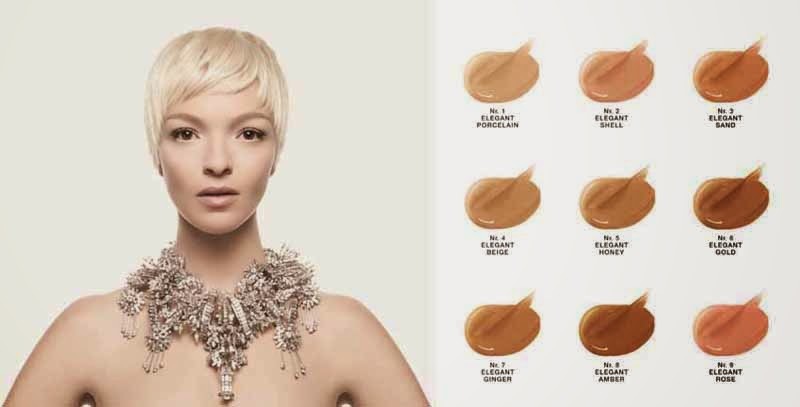 The formula is thicker than most liquid foundation, enough liquid, but not so much to makes it difficult to apply. This powder is applied perhaps the fastest and easiest of all that I have tried so far – you need just a few seconds. It can be applied with brushes, and fingers (my favorite method) and the powder is slowly consumed in this way. The finish of this foundation, when applied to the face and smear (and it seems so easy because of the wonderful texture and it simply glides across the face) for me is perfect - neither too shiny nor too matte, something in between, but so nicely between. For those with oily or mixed skin and problematic t-zone, it is certainly necessary some preset, but for those who have dry or normal skin - this powder is perfect as it is. When applied, very quickly "dries", it is absorbed into the skin and does not leave a film on your face. 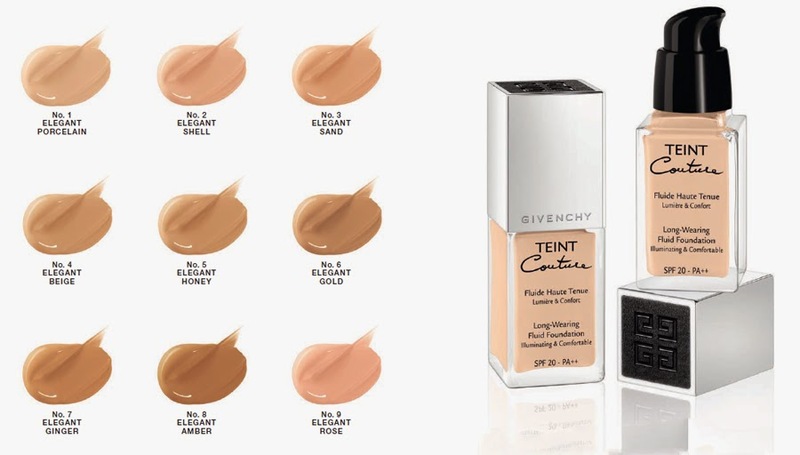 Givenchy Teint Couture covers slightly but not too easy either - quite enough if you do not have any major irregularities on the face or if you cover the same with concealer. 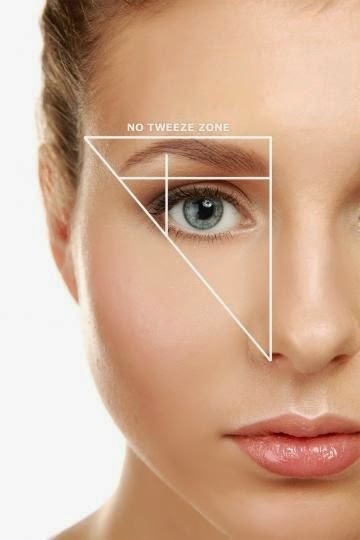 When applied in two or more layers (and can be applied in this way without any problems, immediately, and inconspicuously) can be achieved quite solid coverage. Regardless of the amount of powder that is applied, the powder does not see and does not feel in the face - is incredibly easy, and almost completely unnoticed that is for me one of his favorite characteristics. 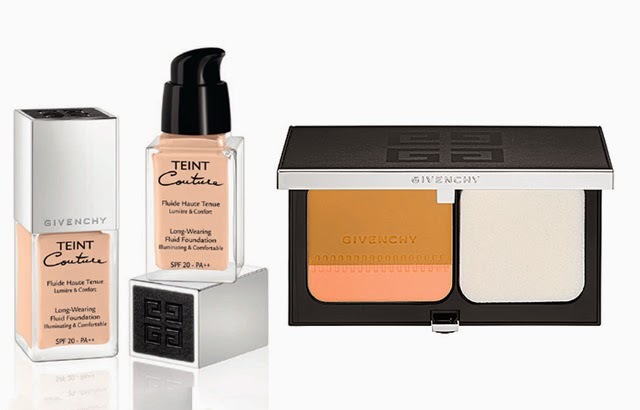 It is quite lengthy, and although it does not take just about 15 hours as Givenchy states, at least 10 hours is certainly there, and the first 4-5-6 hours literally look the same as the way you've inflicted. The best offer (and probably still it is) at the moment when i was purchasing this remarkable fluid foundation was here. In short: Light to medium coverage, the possibility of applying multiple layers for better coverage, easy and enjoyable, unnoticed on your face even in daylight, it looks very natural, non-drying, a slightly flamboyant appearance, long lasting. Suitable for all skin types.